"Born not from our flesh, but born in our hearts, you were longed for and wanted and loved from the start. This quote is the perfect wording to describe adoption. Adopting a child can be a very joyful experience for a family, however without understanding the process and basics of adoption, the process can be become just as overwhelming, stressful and emotional. This article aims to help South Africans understand the process of adoption and what all it entails. It will answer the basics of who, what, when, why and how – all surrounding the topic of adoption. What is adoption and the various types thereof? Closed adoption: This type of adoption limits the adoptive parents and the biological parents. What is meant by limit? Well, the biological parents of the child have no say over who the prospective adoptive parents are and the prospective adoptive parents know very little about the adopted child’s. 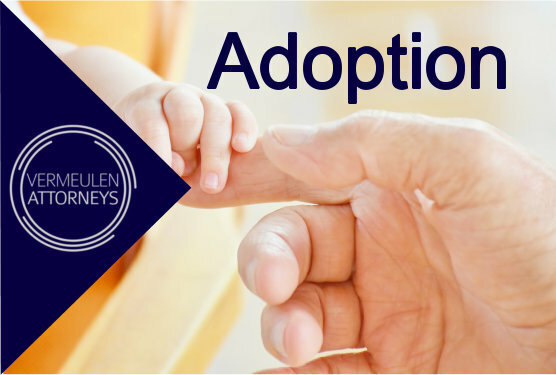 Open adoption: This type of adoption gives the biological parents and the adoptive parents more freedom in the adoption process. What is meant by freedom? Well, the biological parents of the child are able to choose the prospective adoptive parents, and the adoptive parents are able to meet the biological parents of the child that they wish to adopt. Semi-open adoption: This is the last type of adoption which exists in South Africa. With this type of adoption, the biological parents of the child are able to choose the adoptive parents. They are further entitled and/or able to maintain contact with the child through the adoption agency, however, the ultimate decision of contact between the biological parents and the child rests with the adoptive parents. The biological father of a child born out of wedlock and/or the foster parent of the child. There are no age limitations, however many of the adoption agencies state that people over 50 years of age are not allowed to adopt a child. When can one adopt a child? A person may adopt a child whenever they want to, provided they are 18 years or older and are South African Citizens and/or are permanent residents in the Republic of South Africa. Why do people resort to adopting a child? Many people adopt children because they are unable to have their own children. People also adopt children because they wish to make their family bigger, although some already have their own children, and also because they desire to give a child a chance at life and love that is placed in a home and/or abandoned. What does the adoption process entail and how long does the process of adoption take? Applying: Parents who wish to adopt a child must approach an accredited Adoption Agency. This Agency will then provide the parents with Application forms for Adoption which need to be completed. Explanation: After, or even before the Adoption Application forms have been completed, the Adoption Agency will then explain to the parents wishing to adopt how the adoption process works. Screening: This part of the process involves interviews with the prospective adoptive parents. The prospective adoptive parents will have interviews with a Social Worker, they will have full medical tests done, they will have psychological assessments done, home visits, police checks/clearances and will also need to provide motivation as to why they want to adopt a child and how they will be able to care for the child. Waiting List: Once all the relevant checks have been done and the parents have been declared eligible to adopt, the parents are placed on a waiting list for the child. The parents set out what gender they want the child to be, how old they want the child to be etc, and the Adoption Agencies then try and find a child as close to their request as possible. Introduction period: An introductory period will take place once the parents are placed on the waiting list. This introductory period is when the parents will be given a chance to be introduced to the child they want to adopt. How much time an adoptive parent is able to spend with the child they want to adopt, will depend on the age of the child. Once a child is declared legally adoptable, only then can a potential match with the screened adoptive parents commence. Finalization of the adoption: This is the final stage of the adoption process. During this step, registration of the adoption takes place as well as noting of the adoption on the population register. Finalization of the adoption process can take a while to be completed. Consent from the biological parents and / or other parties involved in the adoption can be withdrawn up to 60 days after the giving of legal consent. The Children’s Act also makes provision for adoption to be cancelled, even after finalization, but this can be prevented by making sure all the legal requirements are met. Adoption is finalized in the Children’s Court once the child has been with the adoptive parents for some time and a Social Worker is satisfied that the best interests of the child is being exercised.